NF (6009) - above 6004-6014 upside resist at 6047_6067 remain same. But below 5970 weakness starts.. and it confirm more below 5930. BGRENERGY (783) - On 17 aug posted here and it behaved as expected expect the target of 880 it went upto 872. from there it fallen down and yesterday it came down to the support level of 780. now what next ? Strong support 780. but if it trade and close below this, then expect fall upto 745_735 and after that 700_690. DIVISLAB (708) - Below 720_710 come down to 680 and after 655_645. OMNITECH (254) - Last hurdle 265, trade and stays above, take it to 292_300 intraday resist may be at 274. Strong support exists at 245_235. ORIENTBANK (444) - On 13th sep. posted target 480 whereas it went upto 477 from there it falling down and yesterday broke the support level of 456-448 also . Now what next ? Below 440 fall continue to 421-418. Upside hurdle same at 448-456. TCS (954) - On 09th Sep. posted here, above 885 take it to 940. as expected yesterday it reached the target when it made a high of 958. Now what next ? here it may take some rest. but stays above 940, next attack 999_1019. 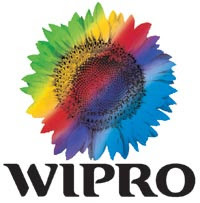 WIPRO (435) - Support 425, going to attack 450_455 But close above this level, big move upto 535_560.